Fuse follows four mercenaries working for a private military company (PMC) as they uncover alien technology and try to stop a sadistic maniac from wreaking havoc on Earth. At the beginning of the game, the four mercenaries are sent into a high-security research facility after a rogue organization ransacked the place, and inside this facility they find a substance called fuse. Fuse is alien technology that, when weaponized, has some serious kick to it. The researches at this facility were testing it and making weapons out of it, weapons which the squad of four come across and decide to use. After the initial discovery of fuse, things get heated and the team must work together to stop a man named Fable. Fable is a terrorist who runs a secretive organization and plans on turning fuse against all his enemies, and the people of Earth in general. Each member of the team gets a different weapon and power. Dalton Brooks, the team’s leader, gains the Mag Shield. It’s basically a large shield made of fuse that he can walk around with and shield teammates or make copies of to place around the environment. Naya Deveraux gains the Warp Gun, a gun that creates singularities in the enemy, and the ability to become invisible which is great for stealth kills. Jacob Kimble gets the Arcshot, a firey crossbow with all kinds of precision. Isabelle (Izzy) Sinclair acquires the Shattergun, a gun that uses fuse to crystallize enemies, and the ability to deploy medical beacons that revive and heal other players. Fuse is played in third person over-the-shoulder view and can be played either alone or cooperatively (online, with friends, or split-screen). Players can switch their character at any point in the game as long as someone else isn’t already using that character. For example, if a person is playing as Izzy but decides they would rather play as Dalton, they can easily switch over to the character at any point in real-time. Online players can also drop in and out of the game at any point without disrupting the campaign’s progress. The game appears to be intended for co-op play, so playing alone may prove difficult. The AI teammates that take over when no other human player is present (i.e. when alone) are incompetent and inefficient, not offering much in the way of cooperative help. When played with friends, the game really picks up, but be aware that playing in split-screen mode may also prove troublesome. The screen is split vertically and cannot be changed to a horizontal split. Also, the pause menu will take up the entire screen, so upgrading your character will cause the other split-screen buddy to sit back and watch without having the power to do anything else. The game allows players to upgrade their characters via XP which is earned through killing enemies, completing challenges, and progressing through the campaign. Each time a player increases in level they will earn a point that can be put towards and upgrade. These upgrades can improve upon current skills such as adding more damage to weapons or can be used to add a new skill such as fuse grenades. Challenges are completed by finding extras throughout the game (intel, data pads, etc.) or through doing unique things in combat like killing a certain amount of enemies and whatnot. An interesting aspect of the gameplay is the ability to scale walls and climb around the environment in certain areas, adding a platforming feel in those areas. In combat, each character’s fuse weapon can be combined with another characters fuse weapon for deadly results. For example, while Dalton is holding up his Mag Shield Jacob can stand behind it and kill enemies with his Arcshot through the shield. These combinations gain extra XP for the players involved and can be very helpful in large combat situations. Some characters are better at crowd control while others are better with support. Using the characters effectively in this sense allows for the ultimate playing experience. Players will also have access to regular, non-fuse weapons such as assault rifles and shotguns. The fuse weapons can run out of ammo, so having a back-up comes in handy in sticky situations. Echelon Mode is the game’s multiplayer challenge mode. In Echelon Mode, players will be pitted against waves on enemies which they must survive while competing with one another for consecutive kills and high scores. Players will go through 12 stages, one mini-boss fight, and one main boss fight. Objectives are random and players must survive each stage to make it to the next. XP earned in Echelon Mode carries over to the main campaign. Visually, Fuse is rather mediocre. The graphics look a tad outdated but the scenery is detailed and interesting, balancing out the poor textures. There were plenty of glitches to be found throughout the game, but nothing that could be considered game breaking. Each console has its own glitches and it seems as if no two experiences are quiet the same, as far as these flaws go. Character development seems promising, but sadly falls flat as the backstories end up going nowhere and the players learn nothing more than the face value of each character. Weapons and enemies are both very science fiction themed and sound as futuristic as they look. The game’s soundtrack itself is not at all memorable, though it’s also not necessarily bad. It keeps up with the gameplay and sets the mood but does little more than that. Dialog can be entertaining here and there, but ultimately becomes worthless as characters fall into mundane clichés and never really progress or change attitude. The voice acting cast is one of the best parts of the game. With actors such as Jennifer Hale, Ali Hillis, Khary Payton, and Brian Bloom behind the game’s main characters, players can expect to hear some very talented voice acting. It’s a shame the voice acting talent is seemingly wasted on the game’s mediocre dialog. Overall, the presentation of this game is very much in the middle – nothing spectacular yet not at all horrible. Next Next post: Guest Post: Sony PS4 – Games To Watch Out For! I tried the demo, but it didn’t do a lot for me. Your impressions sound about what I expected from the game. I will probably get it when it drops in price because I’m a big fan of Insomniac still, so it will be worth a shot. I agree that it’s probably best to wait for a price drop before picking this one up. It’s fun game but there just isn’t much to it, sadly. Great review. I really enjoyed the demo for this and will definitely be picking up the game at some point. Probably when the price drops to around $20; which will probably be around October/November. Thank you! Waiting for a price drop is a good idea. While I don’t regret purchasing it on release day, in hindsight I would probably should waited until there was a sale or price drop before purchasing it. Thanks for posting this, awesome review! As you have seen on Twitter, I have been going back and forth on getting it. Like Gary said, with the Last of Us coming out, I’ll probably wait until the price drops and grab is for it’s co-op value. Plus Insomniac. There aren’t enough good co-op games out there. Thank you 😀 It’s definitely one to wait for a price drop on. The co-op makes this game what it is and is done well, so if you want a good co-op game then it’s definitely something to keep and eye on. With Insomniac’s reputation plus the fact that the game features the veteran video game voice actor Brian Bloom, I bought the game…. unfortunately. 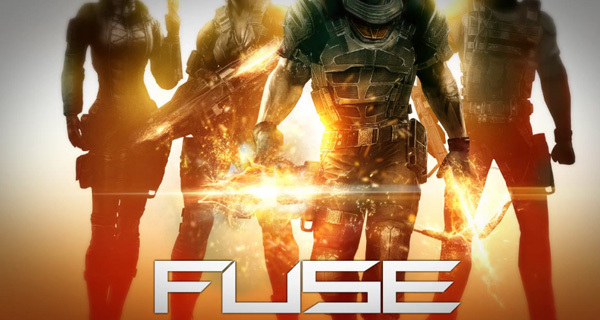 I’m a fan of games under shooters category and always on my quest to find and play the best games I can, Fuse has a lot of potentials which weren’t able to materialize.